If you’re a coach, speaker, consultant, or trainer who wants to be an entrepreneur, you need this book. 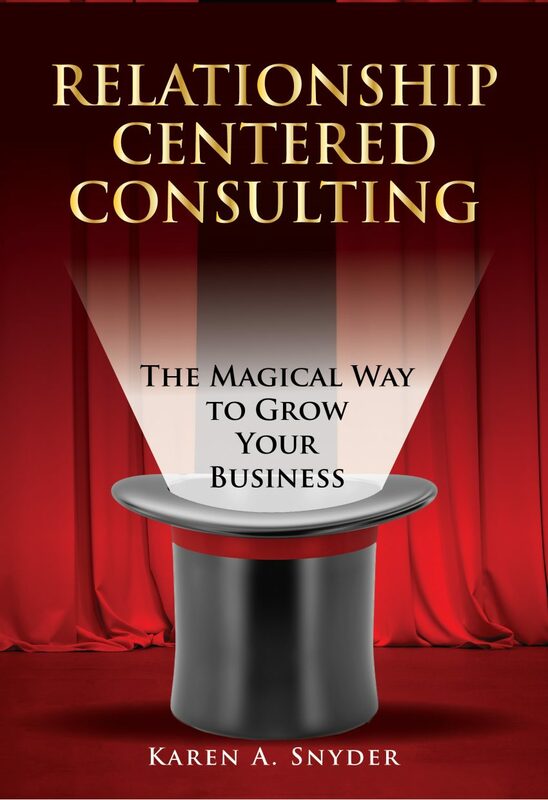 Relationship-Centered Consulting will take years off your learning curve. From checklists that will help you decide if you have what it takes, to operational examples like the Monday Morning Meetings, to ideas for making clients long-term clients, Karen shares what she’s learned in 26 years of owning her own consulting business. This must-read book will help you find your own magic. 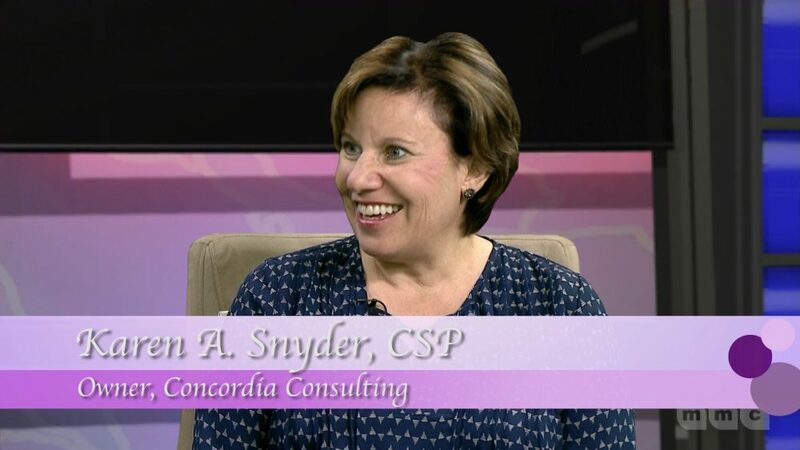 Check out the latest episode of It’s A Woman’s World where Carolyn Bruna talks with Karen Snyder about her book, “Relationship-Centered Consulting.” Tune in tonight at 9:30pm or tomorrow at 7:30pm on Channel 16 to hear the ins and outs of Karen’s new book or watch LIVE online.